In James: Faith Becomes Real, Carole Arceneaux offers readers a commentary on the Book of James. The book provides readers with a verse-by-verse and chapter-by-chapter analysis of the entire Book of James. While the dominant purpose of the work is to be a commentary, it strives to be a devotional as well. If one has little background or understanding of the Book of James, then Arceneaux’s work will be helpful to him or her. Most effective commentaries are academic in nature. When a person reads this book, he or she will immediately notice that it lacks the authoritative voice typical of academic discourse. In all other commentaries I have read, I learned something new or had my prior knowledge expanded. Unfortunately, this book did not benefit me in any way. Although the effort to add a devotional dimension to a commentary is an interesting and rewarding idea, the devotional aspect of this work seemed more about filling the pages to meet a page number quota. The book simply lacks the depth necessary to be considered a serious commentary. Arceneaux’s work certainly could have benefitted from better revision and editing. Many of the sentences lack the clarity they needed to achieve. In short, I would not recommend reading this book. Some elements of James: Faith Becomes Real have potential. The book, however, needed more work before it was published. 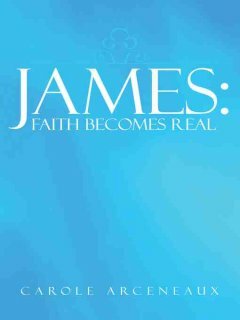 In exchange for my honest critique of James: Faith Becomes Real, BookLook Bloggers supplied me with a complimentary copy of it. Hogs should be better in 2015. How much will depend largely on luck. Watch the early October road challenge. If they can gain a split with their Knoxville – Tuscaloosa tour, they’ll likely win the West. It’s essential for the Hogs to win in Knoxville. I believe they will at least split those two games.